A tool that can install Odin flashable Firmware files by the use of ClockWorkMod so you don't need a PC if you want to install your firmware inside on your sdcard.. The greatest game on iOS is now finally on android smartphones! hey might call you an enforcer, or an assassin. Call it what you like - you're a CONTRACT KILLER. The Samsung Galaxy Y is still running on Android Gingerbread. 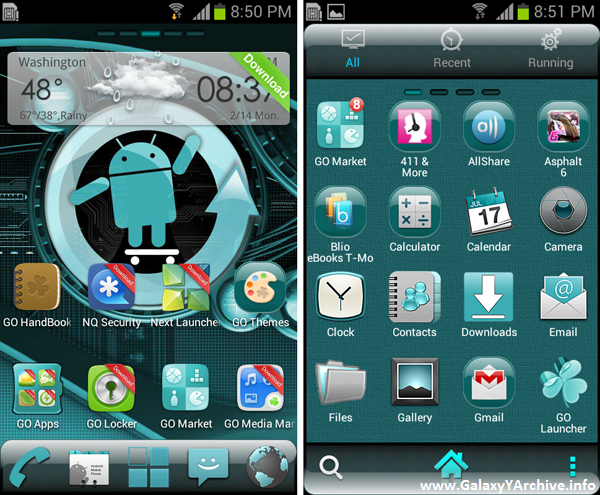 But you can get the Jelly Bean style experience and a complete makeover for your phone with GO Launcher EX. A launcher is the interface that you see when you are using your phone and it includes everything visual when you navigate through the Galaxy Y: the Home screen, all submenus, the app drawer, and all the transition effects. All manufacturers, except Google with their Nexus series, use their own customized version of the Android launcher, mainly to differentiate themselves from competing companies. Samsung calls its version of the Android launcher TouchWiz. What most users don’t know is that Samsung’s launcher can be replaced by a different one. Install GO Launcher EX for free from the Google Play store. Upon opening the app, swipe through the initial screens until you see the “Top 10 GO Launcher Themes” screen and tap the More Themes button. This lets you dive right into the themes store, where you can try several themes until you’ve found your favorite one. You can also skip this step and use the standard theme, which resembles a typical Android Jelly Bean look. Try as many themes as you like from the theme store. You can also use the Google Play store to search for more themes. I’ll be using one of the most popular themes for this launcher: Cyanogen GO Launcher EX theme. It resembles the look and feel of the most widely used aftermarket custom ROMs on the market: Cyanogen Mod. Once you’ve found your favorite theme, download and install it. The launcher will automatically switch to your selected theme. GO Launcher EX places many of its available widgets as a shortcut on the Home screens. When you tap on a shortcut, you’ll be taken straight to the download page in the Google Play store, where you can download and install the widget on your phone. The shortcut will then be replaced by the widget. 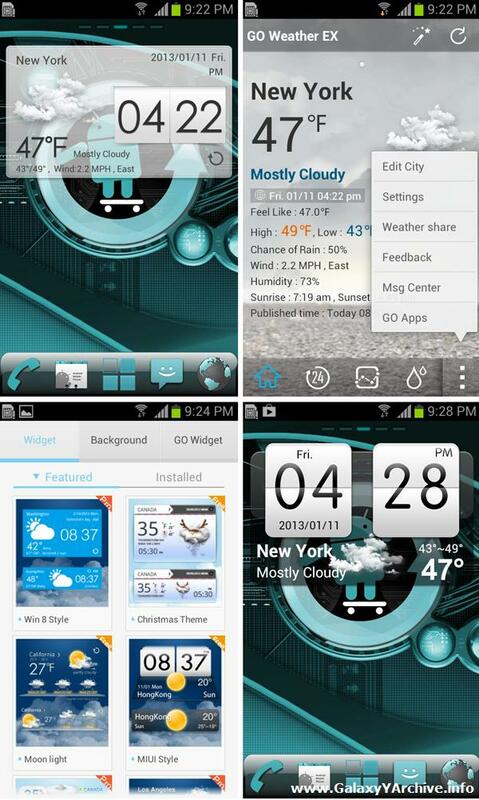 GO Weather EX is the most downloaded widget for this launcher. Let’s install it and apply a separate theme to it. I enjoy the HTC style theme a lot. Tap on the widget > Settings icon > Theme settings, and select a theme to download. To apply the theme, repeat this path and look for the “Installed” section. GO Launcher EX can be highly customized to your needs and there are just too many details to showcase. Tap on the Menu key and familiarize yourself with its features. Home screens can be customized by long-pressing them. Apps can be grouped into folders by long-pressing them in the app drawer. And if you get bored after a while by the current theme, give your Samsung Galaxy Y yet another makeover by selecting a new style from the theme store. 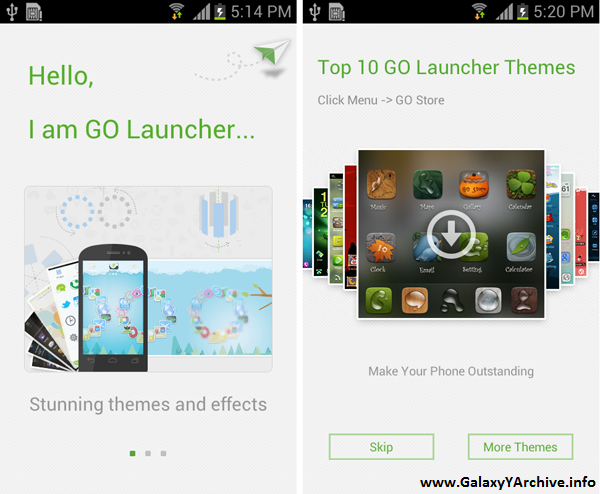 GO Launcher EX is backed by a community of freelance designers, which submit new themes regularly. It’s worth checking them out! Please LIKE GYN on facebook and subscribe on youtube and follw on twitter! Sports Car Challenge is a fast-paced racing experience for your Android phone with graphics and gameplay never seen before on a smartphone or tablet. Enjoy the sheer beauty and amazing details of the hottest high-end sportscars from Audi, Bentley, Bugatti, Lamborghini, Porsche and Volkswagen, while you speed along the track with up to 250 miles per hour. 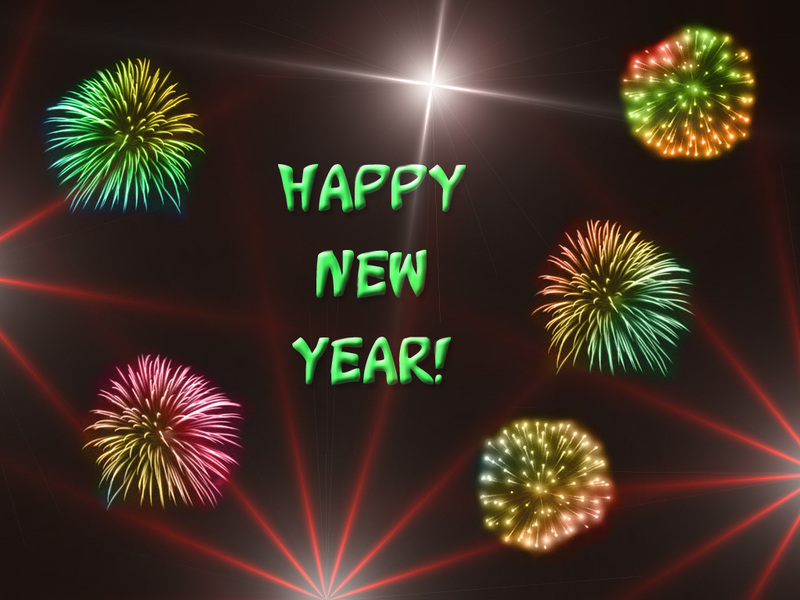 A VERY HAPPY HAPPY NEW YEAR TO ALL OF YOU!